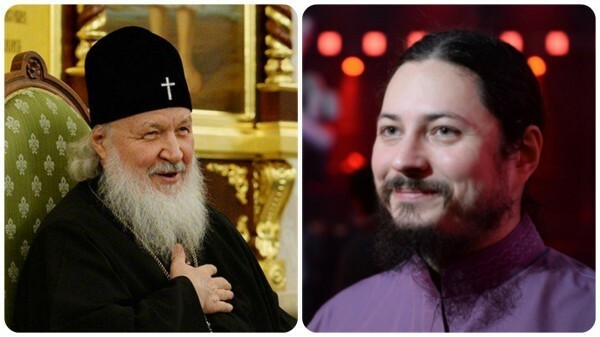 December 26, PRAVMIR: Primate of the Russian Orthodox Church, Patriarch Kirill congratulated Heiromonk Photios (Mochalova) on his victory on The Voice, December 25th. The Patriarch’s congratulations appeared tonight on his VKontakte page. His Holiness also reminded the winner of The Voice of the complex time that comes in everyone’s life after a resounding success. “I also want to keep in mind that the monastic path that you selected, by its value and meaning surpass the victory, which you achieved. After all, many voted not only for a voice, but also for an image,” concluded Patriarch Kirill. For the time ever, the revenue Channel One and other partners gathered during audience voting will be transferred to Miloserdie Orthodox Assistance. Season 4 finalists of The Voice were decided on December 18th. During the finals, Era Kann came from the team of Basta; Mikhail Ozerov from the team of Alexander Gradsky; and Olga Zadonskaya from the team of Polina Gagarina. Let us remember that Heiromonk Photius (Motchalov) performed Lensky’s Aria at a blind listening. The heiromonk received the blessing of Metropolitan Kliment to participate in the musical competition. Members of the jury particularly noted the father’s tenor. The priest chose musician Grigory Leps for his team, who asked Father Photios several times whether he would perform chanson and pop songs and if it was acceptable for its repertoire. Hieromonk Photios is 29 years old and has been a monk at the Borovski Monastery for 10 years. He is the regent of the monastery’s choir.